Rapid Retail Group is a Perth-based fitout company servicing clientele Australia-wide. Our extensive experience and team of industry professionals means we consistently exceed expectations. We focus on attention to detail and precision joinery. We’ll listen to your needs and reflect this in our work. From creating ambience in your new bar, a fun feel for your shopping centre island, storage in your kitchen or a productive environment for your employees, we have the experience and skills needed to deliver what you need. We are committed to remaining refreshingly honest. We treat each client with the same professional approach and personal service. Rapid Retail Group values our staff, business partners and you – our client. We guarantee a fast turn-around time on your fitout. You can trust us.We’re transparent with all client quotes and billing. All of our workers hold up to date qualifications, licences, safety and inspection cards. We communicate clearly and give you progress updates to keep you informed. 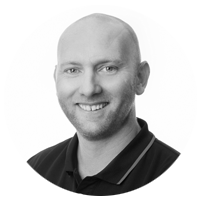 Previously a Director with a Perth based National shopfitting company, Adam has the know-how to take your job to the next level. Adam enjoys the physical and mental challenge of all things shopfitting and business trading, living the dream of Directing Rapid Retail and stamping a large footprint in the Australian marketplace.From humble beginnings as a Cabinetmaker and starting as an apprentice in the shopfitting trade, to working on huge projects both in Perth and interstate make an impressive resume for Adam. A friendly and upfront approach is Adams way and a family man with a love of all things fast and rapid. 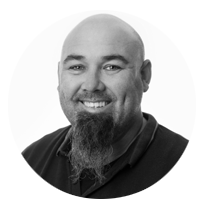 A man of many talents, Jarrod started with his father in woodturning and joinery and added skills in domestic renovations. Jarrod can also fit out luxury catamarans and in 2007 moved into shopfitting. 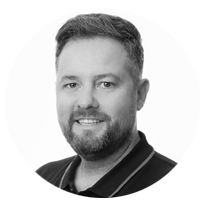 A highly skilled Manager with extensive Australia-wide fitouts and large brand rollouts under his belt, our clients seek Jarrod's expertise to manage their shopfit. arrod prides himself on seeing the entire project from conception to completion, transforming an idea into a functioning space. An outdoors family man with two young kids when not at work, you will find Jarrod riding motorbikes, 4x4 driving or throwing in a fishing line on a remote beach. Hilty, from Manchester England, started his apprenticeship at 16 and worked throughout the hotel and leisure shopfitting industry in England. Relocating to Perth with well over 5 years shopfitting experience across Australia, Hilty has progressed from a leading hand to a qualified Construction Manager.Hilty is a born communicator, enjoys solving the stresses and problems jobs may face to make it an easy transition for his clientele to enjoy the finished product. A proud supporter of Rugby Team"Leigh"and a keen golfer, he says "I enjoy it more than I am good at it" therefore if not working on your job you may find him on the golf course. Adam and his team delivered a finished product for our Kitchen and Laundry well above our expectations. Not only did they provide good advice as to design, layout and functionality, they took the time to listen and recommend alternatives. The finished job was exceptional and I cannot rate them highly enough. Thankyou Adam Wakefield for my modern, well designed kitchen. Work was punctual to Adam's timeline, the workmanship was neat and clean throughout the process and came in on our budget. Thank you Adam to a new, workable, well designed kitchen blending in with our positive needs of today. We would positively recommend his services and have no hesitation in using Adam again.